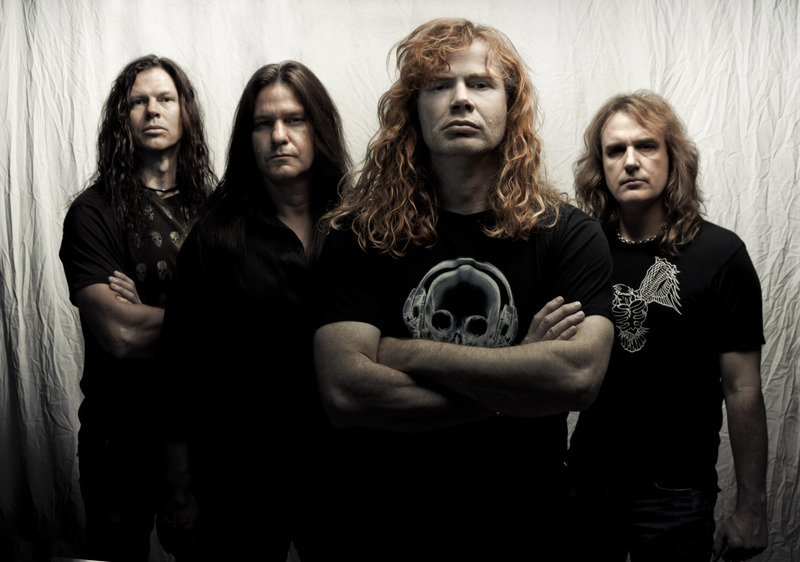 Guitarist Chris Broderick, the former guitarist for the band Jag Panzer who replaced Glen Drover in Megadeth nearly four years ago, said he is pleased by the reaction of fans and critics alike. Still, he thinks it’s too soon to have the right to go insane about the feedback. “I always wait until a little time has passed but I’m really happy that people are receiving it very well,” he said. The album marks the last the band will make under Roadrunner Records and is the second in their history to hit stores on Nov. 1, as 1994’s “Youthanasia” was also released on that date. They are set to be killing it on the road with Motorhead, Volbeat and Lacuna Coil for Gigantour, the critically acclaimed package festival they founded in 2005, which is the same tour name Broderick made his live debut with Megadeth on Feb. 4, 2008. They will make stops in New England states such as Connecticut and Massachusetts and they will also perform in nearby New York. While he doesn’t have a favorite place to gig, he said he enjoys playing for fans that are “over the top” and “very vocal” when he’s on stage. According to Broderick, the CD came together “quite quickly” and they composed some of the material while on tour for the band’s last studio album “Endgame.” They worked with producer John Karkazis, better known as Johnny K, who previously worked with Disturbed, Sevendust, Machine Head and Staind, among others. In addition to “TH1RT3EN,” Broderick also recorded guitar parts on “Endgame” shortly after he came onboard. He thinks the new album is more diverse. In terms of guitar riffs, he enjoys tracks “Sudden Death” and “Never Dead” best. “Never Dead” can be heard in a trailer for the fantasy action video game of the same name. With the record business not being what it used to be, Broderick feels having their song in a video game is an alternative avenue to reach new fans. In 1983, the year frontman Dave Mustaine founded Megadeth, the band probably never envisioned their music would be in a video game nearly 30 years later. For Broderick, he never thought he’d end up playing lead guitar for them. But Mustaine said he thinks of Broderick as the greatest guitarist Megadeth has ever had and compared meeting Broderick to Ozzy Osbourne fusing with Randy Rhodes. Hearing that, Broderick said, is humbling and terrifying at the same time. “It’s great that he thinks that of me but it’s like, ‘Wow. I have to live up to that,’” he said. The new CD gets better every time I listen to it. I really hope they play Sudden Death and Never Dead on tour this year. I think those songs stack up with Megadeth’s best. Chris is a awesome guitarist and he really added a spark to the group musically. All the fans like him and he carries himself well. He isnt cocky and you wont find many musicians as talented as he is who isnt a big head case. I cant wait for the upcoming tour!! !